PWO MAX By Prime Nutrition at SameDaySupplements.com® for lowest price. What Is PWO MAX By Prime Nutrition? Pre-workout fans get ready. PWO MAX, the big bully on the block, is back , the industry’s most sought after pre-workout ingredient. We aren’t asking for you to have good workouts, PWO MAX will drag it out of you kicking and screaming. Once you take PWO MAX 30 minutes prior to your workout, it’s time to start kicking your mind into gear. You have half an hour or even less to prepare for the workout of your life. When you take a pre-workout that brings the intensity like PWO MAX you really only have one choice - take no prisoners. And we promise, once you try PWO MAX you’ll realize what you’ve been missing all this time. The days of little energy, no focus, and terrible workouts are over. Seriously, this is that one addition to your workout you don't want to miss. What's In PWO MAX By Prime Nutrition? How Do I Take PWO MAX By Prime Nutrition? DOSAGE: As a dietary supplement mix 1 scoop of PWO MAX with 200ml of water, or beverage of your choice, 30 minutes prior to training. Start with a half scoop of PWO MAX to access your individual needs. Use as directed. Do not exceed recommended daily value. 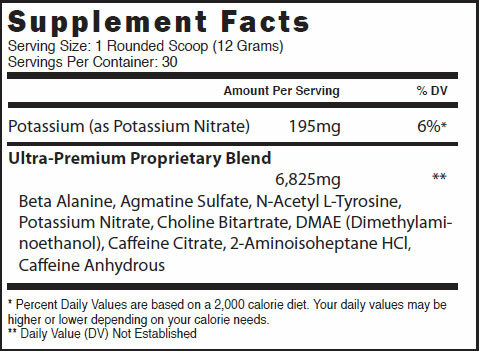 We have a large selection of in-stock Prime Nutrition products including Pre Workout items and others for the lowest prices at SameDaySupplements.com® It's always easy to shop for PWO MAX By Prime Nutrition at SameDaySupplements.com® because you can browse by reviews, brand, prices or search for specific ingredients using our search tool. In-stock orders placed before 3pm EST ship out the same day to USA, Brazil, United Kingdom, Canada, Germany, Australia, Japan, India, France and worldwide at the cheapest prices online.